We all know that Digital marketing has emerged as one of the most important aspects for business. One of the first things that you need to do while working on your digital marketing endeavours is to focus on giving users something that they expect. After all, your ultimate target is to increase your visibility and get more number of people to view your business. This is something that will fetch you more leads. In short, a better business for years to come. And, that’s what matters in the end. Isn’t it so? With the emergence of social media, marketing has evolved from being a means to simply sell to a platform where businesses tend to connect with their users. User experience has become more valued for the businesses, and buyers have become smarter. This is the reason that the old school techniques to just sell, sell and sell are of use no longer. Rather it has become more about how you present your business. As times have changed, so have the marketing trends. During recent times, there has been a huge boom in the mobile and smartphone market. This is the reason that there has been focus more towards making websites mobile friendly. In fact, Google has recently shared their latest update on mobile marketing becoming integral part of their search engine rankings. Therefore, if you have been avoiding mobile update for your website, then it is high time you get it done. last, but not the least, factor that can add to your overall success in digital marketing is relevancy. As already stated, customers have become smarter these days. So, you need to provide them with relevant content that they can connect with. Considering the fact that there is such cutthroat competition in the market, it becomes important that you offer your customers something that they are not getting anywhere else. 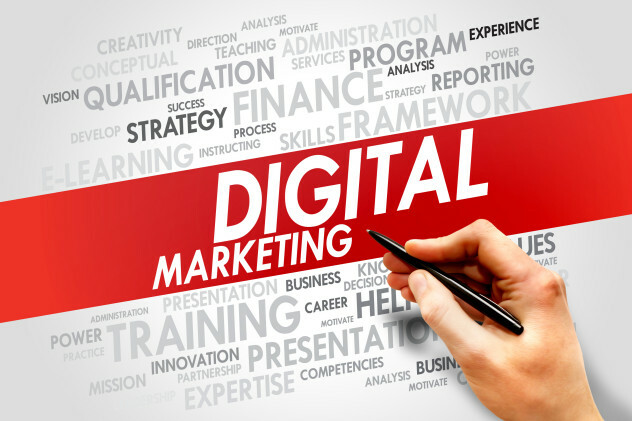 With these simple tried and tested tips, you can eventually go ahead and make the most of your digital marketing strategies and growing scope. Don’t forget that the world have evolved from the old age to digital age, and now movingly swiftly towards mobile age. By keeping all the above things in the back of your mind you can take your digital marketing gimmicks to the next level and see how things start to transform. Companies are tracking you on FB. Did you know that?